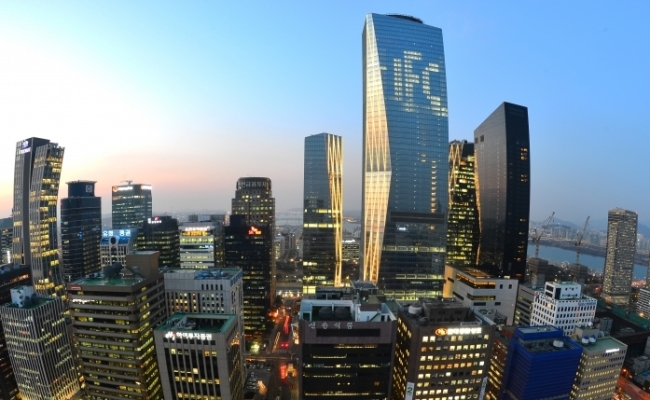 South Korean securities firms saw their local branch network fall below 1,000 in late 2018, with the rise of mobile trading infrastructure here, data showed Monday. Along with the shrinking branch network, the number of employees at the firms declined 17.4 percent in the past seven years until last year. The total number of employees was 36,378 in 2018, more than 1,000 people less than 44,055 in 2011. Mirae Asset Daewoo, the largest brokerage by owned capital, had the highest number of branches at 136, followed by KB Securities and Shinhan Financial Investment with 97 and 92 branches, respectively. The industry’s focus on nurturing mobile trading systems -- with the steady rise in volume of investors that use mobile devices to trade stocks -- along with strategic mergers and acquisitions of key securities firms carried out in recent years, have contributed to the decrease, industry watchers say. According to recent data released by Shinhan Financial Investment, its customers in the 46-55 age range -- a group perceived to prefer offline exchanges -- increased their use of mobile trading to 43.3 percent last year, a significant rise from 25.7 percent of 2015.